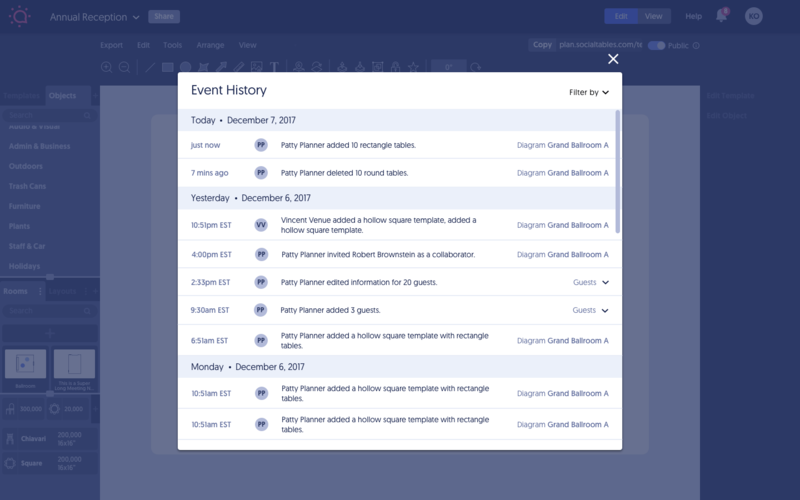 You can track the entire history of changes and updates everyone has made to your event’s diagrams, guest lists, and more! That means you can easily get in touch with collaborators who've made changes, and decide what will work best for the event. Start by clicking the down arrow next to your diagram's title. You'll find it in the upper-left hand corner from within the event. 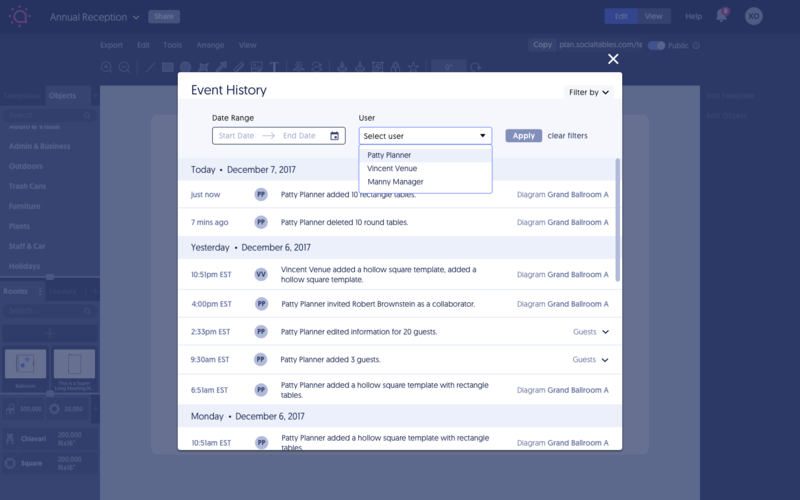 From there, select Event History. With event history, planners and staff can fix mistakes before they happen. This makes for a much smoother event day, and of course, increases the likelihood of repeat business. Large, complicated events have never been simpler to plan or more valuable to host.